A good night's sleep can set an entire day's wrongs all to right. A bad one, though, can require a week to recover from. If you have ever woken up with a sore back or experienced the sheer misery of hearing your alarm clock after a night spent staring up at the ceiling, you know exactly what we're talking about. A single night of insufficient rest has a profound impact on the rest of the week. That is why proper bedding is one of the most important investments you could make. It's also why getting one of the best memory foam mattress toppers should be at the top of your wish list. In this article, we will share our handpicked list of the 10 best memory foam mattress toppers. We will review each one comprehensively, cluing you in on both the good and the bad. Then, we will reveal our choice for the best memory foam mattress topper on the market. By the end of this article, you should know enough about these products to pick the right one for your bed. 1. What Is a Memory Foam Mattress Topper? 2. What Are the Benefits of Using a Memory Foam Mattress Topper? 3. 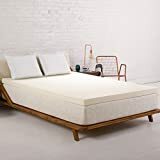 What Are the Different oypes Of Mattress Toppers? 4. 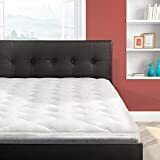 Where Can You Buy Memory Foam Mattress Toppers? 5. What Qualities Set Apart The Best Memory Foam Mattress Toppers? The first thing to know is that the term "mattress topper" is not synonymous with "mattress pad" or "mattress protector." It is an entirely different product. A mattress topper is an extra layer you place on top of your regular mattress to get extra cushioning. A mattress protector, on the other hand, is a thin, sometimes waterproof cover that shields your mattress from fluids, oils, allergens, and dust mites. A mattress pad's purpose lies between those of protectors and toppers. A pad provides a small amount of cushioning while also offering some mattress protection. To get the best results, you should use both a mattress topper and a mattress protector. There are many different types of mattress toppers, and one of the most popular is memory foam. Memory foam is polyurethane with a chemically increased density. The best memory foam mattress toppers are soft and comfortable. They alleviate joint pressure, making them especially useful to people with arthritis. They also reduce the shaking and vibrating that happens whenever you or your partner moves around. The best memory foam mattress toppers can turn an old, unsupportive, or hard mattress into a comfortable one. There are, however, a few downsides to memory foam. Memory foam can get quite warm due to its relatively poor ventilation. Sometimes, it can have a strong, chemical odor as well, especially when the topper is brand new. Compared to other types of mattress toppers, memory foam is also relatively expensive. The extent of these issues, however, can vary widely from brand to brand. The best memory foam mattress toppers can circumvent these issues entirely. First and foremost, a memory foam mattress topper will provide an extra layer of cushioning and support. If your bed is harder than you would prefer, adding a mattress topper is an excellent way to increase your comfort significantly. Second, using a mattress topper can increase the longevity of your mattress. If you feel your mattress beginning to sag a bit, you can add a memory foam mattress topper to give your mattress an extra bit of life. Keep in mind, though, that there is no getting around the fact that all mattresses eventually need to be replaced. You might be able to maintain your mattress for up to 10 years, but you should not expect longer than that. 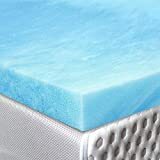 Third, memory foam mattress toppers reduce pressure on our joints, making them a fantastic source of pain relief to those with arthritis and similar conditions. Finally, memory foam mattress toppers make it easier for two people to share a bed. They have a dampening effect on the vibrations and shakes that occur whenever someone tosses or turns. 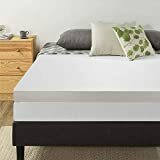 If you or your partner wakes up often due to one of you turning about frequently, a memory foam mattress topper should definitely be a consideration. 3. What Are The Different Types Of Mattress Toppers? Aside from memory foam, mattress toppers are made from latex, polyester blends, feathers, and wool. Memory foam mattress toppers have become rather popular over the years, making them widely available. You should have no trouble finding them in any store carrying bedding products. You can also buy them online on sites like Amazon. The following products were reviewed based on the following parameters: Features, Pros & Cons, Price, Where to Buy, and Warranty. We chose these 5 parameters in order to give our readers the most holistic reviews possible. We believe that by covering these aspects of each product, we can help you make the right purchase on the first try. Memory foam mattress toppers range from $50 to $200. The main price determinants include design quality, materials used, certifications earned, and extra features. The Dreamfoam Bedding 2-Inch Gel Swirl is a patterned memory foam mattress topper made in the US. It features a calming, oceanic gel swirl pattern. This topper is Certi-Pur US certified, meaning it meets the highest standards for quality. It comes with a generous 3-year warranty. The Red Nomad is a 2-inch memory foam mattress topper made in the USA. It is certified with the CertiPUR-US program, guaranteeing premium quality. It features a Cool Cycle Polymer design, allowing plenty of ventilation for cool, sweatless nights. The SleepJoy is a 2-inch memory foam mattress topper made of open-cell memory foam to allow increased airflow and coolness. It has been enhanced with plant-based materials derived from castor beans, making it an environmentally friendly option. It comes with a generous 2-year warranty. The Pinzon Hypoallergenic Overfilled Microplush is a mattress topper with a 100% polyester top, a 100% olefin bottom, 100% polyester filling, and 90% polyester and 10% spandex sides. It has been sewn with soft microplush fabric, and it is overfilled for optimal comfort. The Sleep Innovations 4-Inch Dual Layer is a queen-sized mattress topper. It has two layers of gel memory foam, and it is designed to wick heat away from the body. This product is made in the USA, and it comes with a 10-year limited warranty. The Milliard 2-Inch Egg Crate is an Amazon's Choice mattress topper designed to relieve stress, joint pain, muscle aches, and even arthritis. With its egg crate memory foam design, it reduces pressure points and increases ventilation, making for a cool, pain-free sleeping experience. It is CertiPUR-US certified, ensuring premium quality. 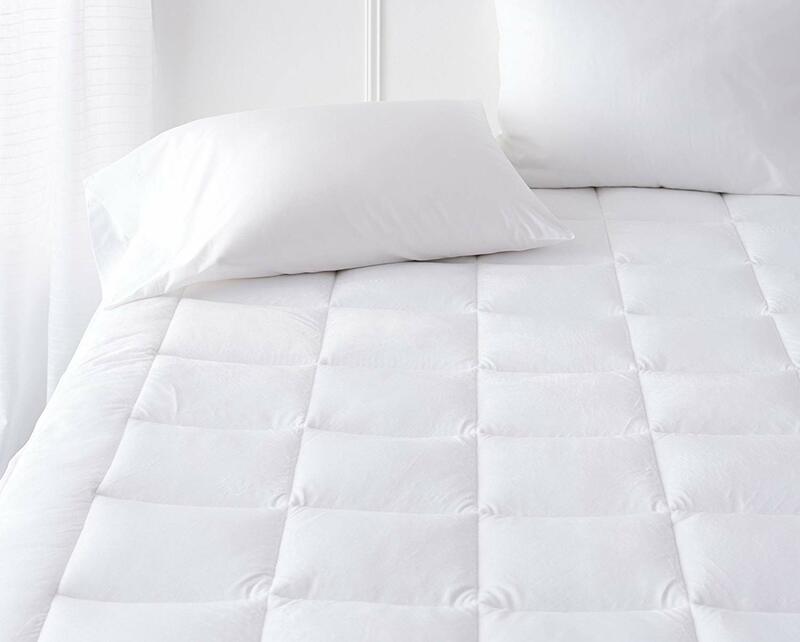 The Cardinal & Crest Overfilled Pillow Top RV Mattress Pad is a hypoallergenic option offering maximum comfort. This bamboo mattress pad is perfect for anyone whose allergies are irritated from more traditional materials. It features a long-lasting design with a baffle box stitch. The ISOLUS is a 2.5-inch ventilated gel mattress topper. It features a gel infused memory foam formula that makes for a cooler sleeping experience. It comes with a soft, removable rayon from bamboo cover. It also comes with a 3-year warranty. The Best Price 4-Inch memory foam mattress topper features responsive active suspension to isolate motion. It comes with a polyester mesh cover as well as a 5-year warranty. 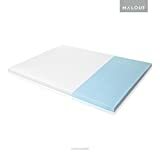 After reviewing these 10 products, we decided that the best memory foam mattress topper overall is the ISOLUS 2.5-Inch Ventilated Gel Memory Foam Mattress Topper. The ISOLUS offers fantastic comfort with its perfect density and superior support. It uses a gel infused memory foam formula, making it one of the best toppers in terms of air circulation. It costs around $200, earning it a price rating of $$$. 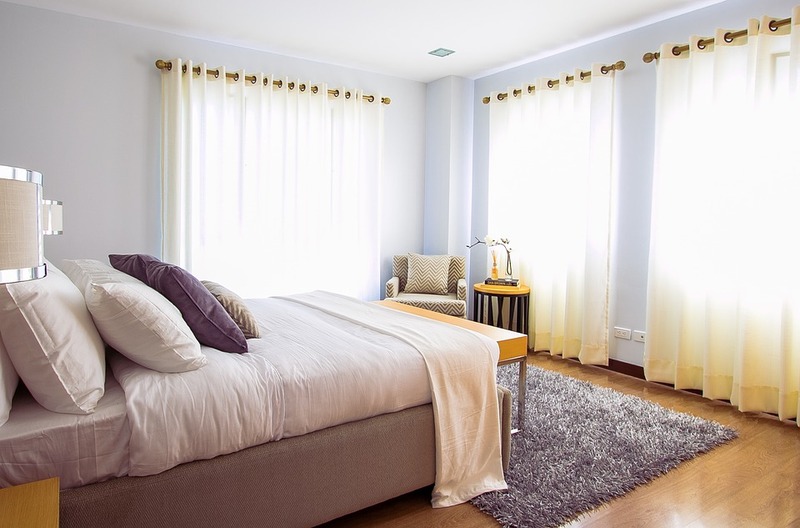 If it fits with your budget, though, you are sure to have wonderfully restful nights.